The Olympus ME15 tie clip microphone is a journalist’s friend! Inexpensive, unobtrusive and very effective. Compatible with all Olympus digital recorders, the ME-15 Microphone attaches easily to the tie or collar, weighs 11g, has a 1m long cord, and 3.5mm monaural mini-plug. 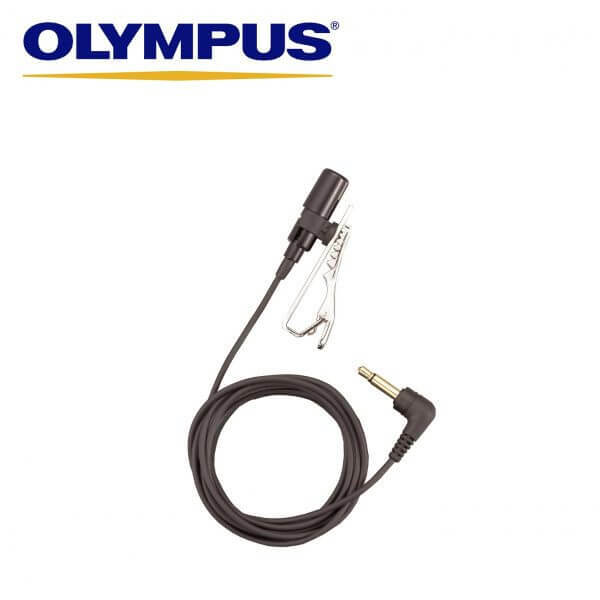 NOTE: If you are purchasing the ME-15 microphone to use with the Olympus Pearlcorder Microcassette recorder, please purchase the PA-1 plug adapter to go with it.